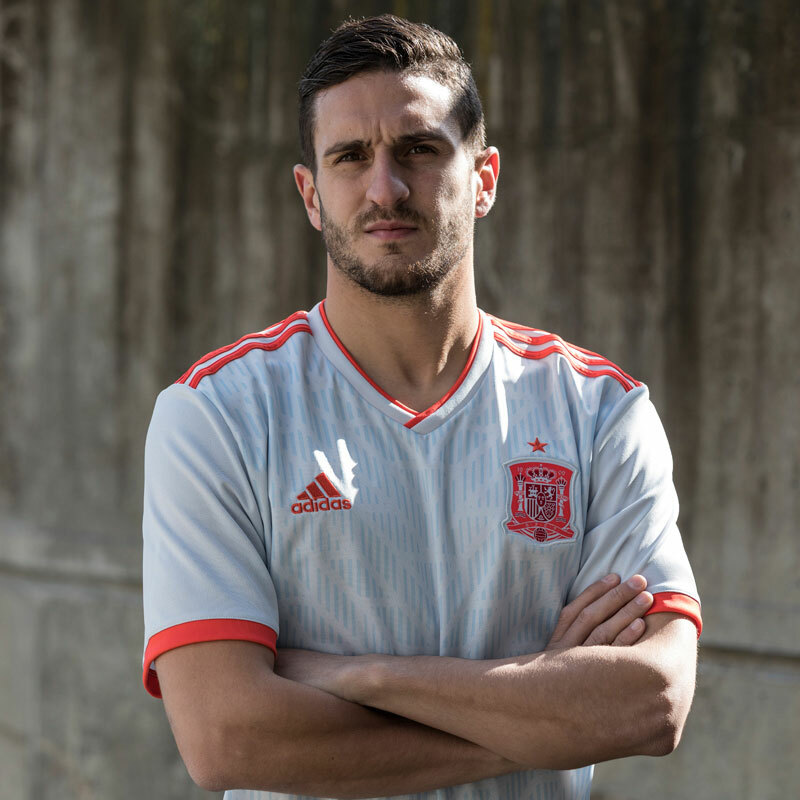 Inspired by the kit Spain wore during their 1994 duel with their rivals Italy, this Spain 2018 World Cup Adidas Home Shirt is a replica of the home shirt today’s players wear. 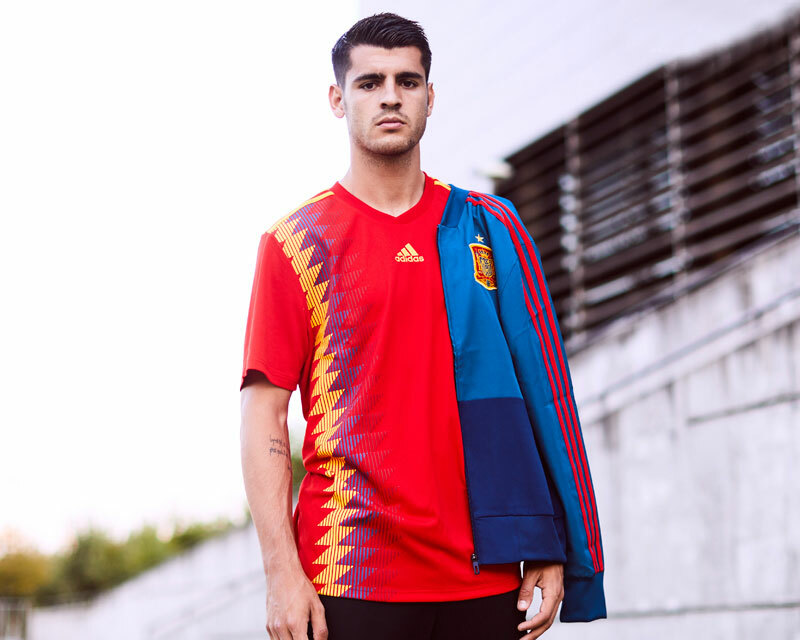 The New Jersey consists of red, yellow, and blue diamond patterns with dynamic lines, representing speed, strength and football style, which are closely related to the Spanish national team. Adidas used the Climachill technology for the first time in the design of football matches. Climachill technology uses advanced zero titanium yarn and Climachill cooling fiber, with breathable mesh fabric to provide the players the maximum fresh and dry in the game. The New Jersey matches royal blue shorts and black socks, and the face of the stockings is marked with the word “RFEF (Spanish royal Football Association)”. 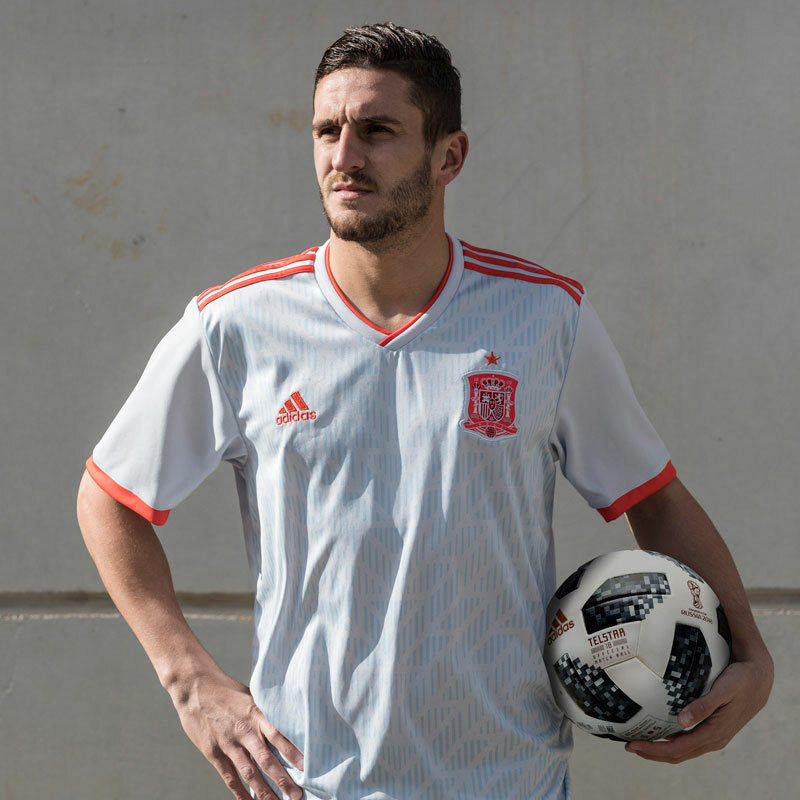 Displaying a modern take on the geometric designs that graced some of the most iconic kits of the 1980s, this shirt is identical to the away jersey the team’s current stars wear. 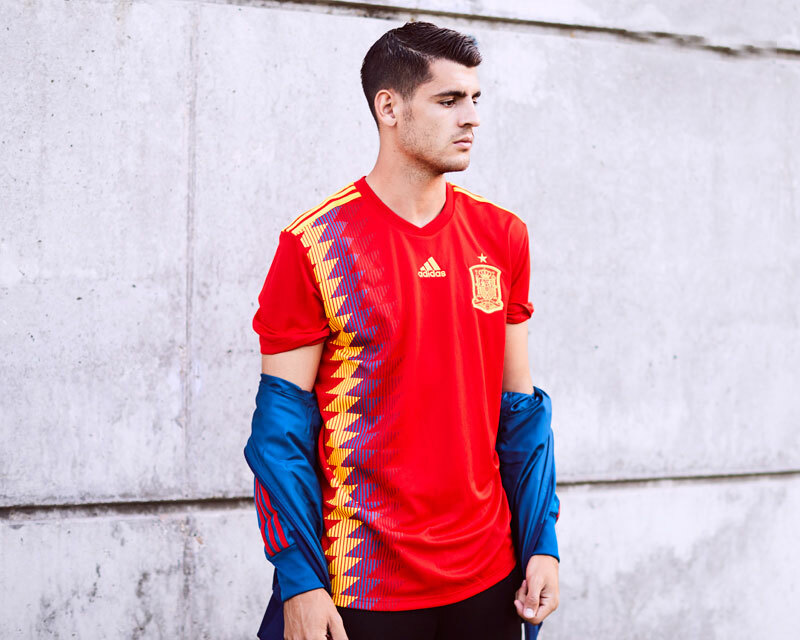 It has a fitted fit and breathable, quick-drying fabric for the lightning pace of international football.